To all homeowners of Cannon Ridge and prospective homeowners: The 2018 Board is very excited that you have chosen to be a part or you are thinking about becoming a part of the family here in Cannon Ridge. Cannon Ridge's location provides easy access to Interstate 20, downtown Brandon, local schools, churches, shopping malls, restaurants, the Jackson International Airport and great recreation at the Ross Barnett Reservoir. Cannon Ridge is a great place to live and raise a family. It is common to see neighbors walking on the sidewalks and children playing in front yards. Cannon Ridge is the kind of place where neighbors know each other by name and look out for each other. Residents take pride in keeping their homes and grounds looking attractive. The Home Owners' Association was established to enforce community covenants that protect the investment residents have made in their home. The safety of people living in Cannon Ridge and the protection of property values are the primary focus of the Home Owners' Association. Visit this website to find upcoming events, offer suggestions and to get involved. Enjoy the pictures below. These people have generously donated their time and talents to make sure that Cannon Ridge Subdivision remains one of the best neighborhoods in which to live and raise a family. I hope that you will support them and give them your cooperation during the new year. As President of the HOA for 2018, I pledge to each of you my best efforts in managing the Association during the year. We will work to provide open and transparent communication and to protect and preserve the HOA assets. Please restrict phone calls to reasonable hours, and if I do not answer, please leave a message. I will respond as soon as I can, but it may not be immediate. When you send your assessment payment for the year, please include contact information so we can add you to our contact lists. Email addresses would be especially appreciated. 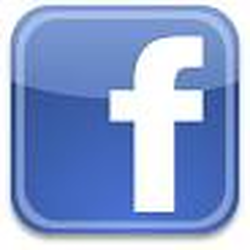 If you have not done so, you may wish to be included in our Facebook page. Membership is restricted to Cannon Ridge residents and one of our directors can admit you to the page. Go to Facebook and look for Cannon Ridge Subdivision Homeowners Association Official Facebook Page and ask to join. We would like to use this page for official HOA business as well as conversations between members. We also have a website for your convenience. It is CannonRidgeHOA.net and we will try to do a better job of keeping it up to date and relevant. Suggestions for additions or improvements are appreciated. Watch out for your neighbors and have a safe and prosperous new year. Powered by Dollar A Day Sites. We build your website and you edit it on demand.